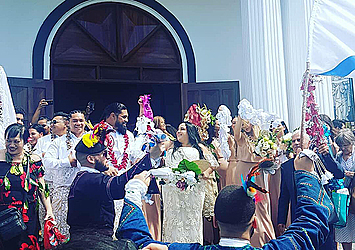 In what may have been a nation first, Apia was witness to a wedding combining two diverse cultures – Assyrian and Samoan. The couple, Bonnie and Grey Viane, tied the knot last Saturday at the Immaculate Conception Cathedral followed by a reception at Taumeasina Resort in a mix of cultural traditions. Bonnie is Assyrian, part of an ethnic group from present-day Iraq, and Grey is Samoan. The two were raised in Sydney, Australia, and said their wedding was an opportunity to deep dive into their cultures and celebrate them. “It’s hard to stay true to culture when the influence of other cultures, of Australian culture is just so big,” Bonnie said. The integration of their two cultures into a seamless wedding was a learning process for them both, as they dug into traditions they did not necessarily learn about when growing up. Grey said the more they incorporated, the more pride they felt. The wedding festivities began with the Assyrian tradition of the groom’s family picking up the bride, who will not be released to the groom’s family until the families negotiate a price. 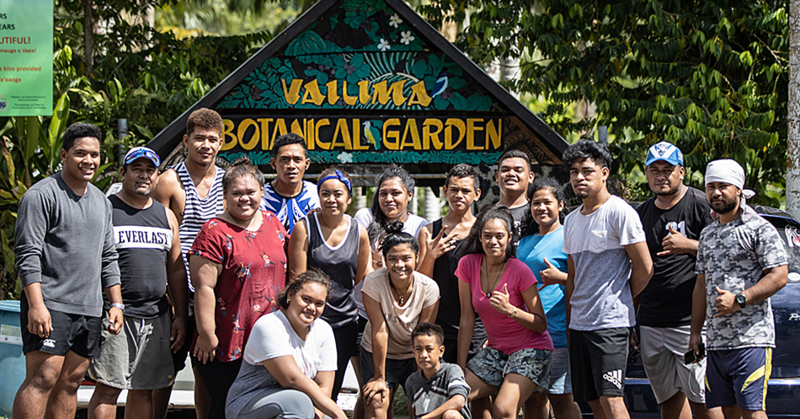 “That’s what we did here at the Taumeasina, there was a big hoohaa where my brothers and my dad stood at the door negotiating with his family,” said Bonnie. They then travelled to the church, where the service was conducted fully in Samoan, and included the Samoan tradition of ifoga. The couple had a fine mat placed over their head and a blessing said over them. “There are no words to explain how we felt when they were doing that,” said Grey. 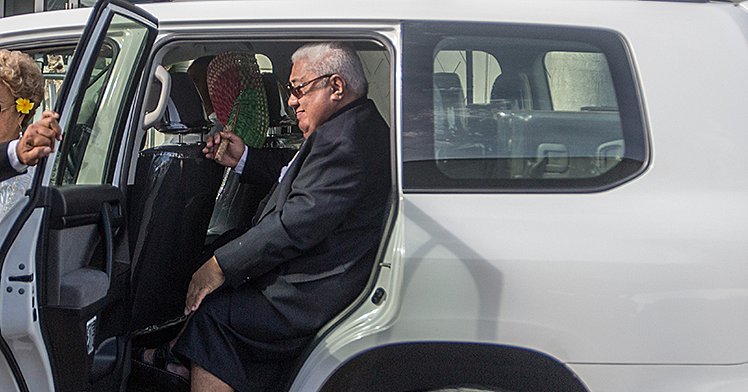 Following the ceremony, the wedding party travelled in three classic Samoan buses to Grey’s father’s village in Poutasi Faleili to take memorable photos. Back at Taumeasina Resort, the families were met by the Assur Kings drumming group from Sydney, who performed traditional Assyrian music to the beat of handmade drums. The wedding party danced with Assyrian Yalekhta, beaded scarfs with bells which add noise and delight to the dancing. Grey said the noise making from the Yalekhta and the drums was so fun for the Samoan half of the family that on arrival for photos at Poutasi, the family greeted them by banging on pots and pans. The groom’s party wore traditional Samoan Ie Faitaga, and the bride’s family wore Assyrian garb. Bonnie and Grey’s families joined their celebrations here in Samoa, but unfortunately Grey’s father, Lupeomanu Faaoli Fata Vaegaau Viane, passed away in 2011. 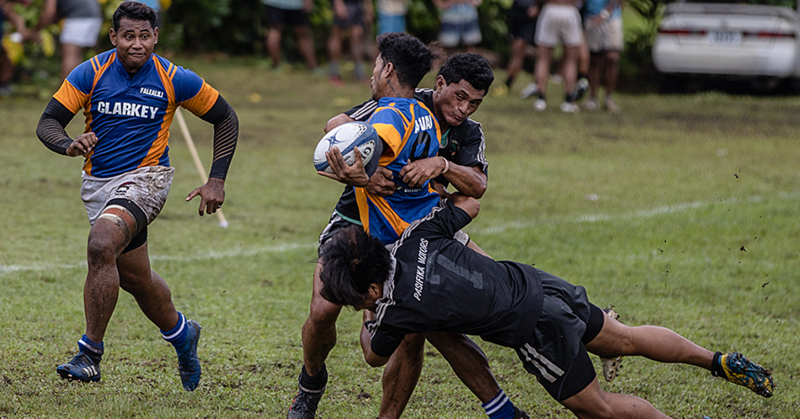 Grey said it was always his father’s dream to see his son marry, and so having the celebrations in Samoa brought them closer to him. When they picked the wedding date, they had no idea it would be Father’s Day here. “It just tied us back to Grey’s dad and I get goosebumps just talking about it,” said Bonnie.